The Calhoun, GA community deserves a local electrician that offers great service for affordable pricing—and that’s where EaZy Electrical comes in. Take a look at our Calhoun, GA reviews for the thumbs up from your neighbors! Certified plumbers are inspecting the drainage system with sewer cameras. Plumber near me in Calhoun GA is repairing a water leak, we offer emergency plumbing services in Calhoun and surrounding areas. Certified plumbers are repairing a broken water line that was causing a high water bill. Certified electricians are installing new electrical circuits and a Bath vent, heater light unit. Certified plumber is adding a water line for a plumbing fixture. Certified plumbers are clearing a blocked drain. licensed electricians are repairing electrical power outlets, we offer electrical and plumbing repair in Calhoun GA.
Certified plumber is repairing a leak in a water line. Replacing electrical service panels should be left to professionals, we offer the best options on electrical fuse box upgrades in Calhoun GA.
Certified Plumber is clearing a blocked line, drain cleaning is a specially at EaZy Electrical & Plumbing! Electrician in Calhoun GA, is installing new electrical outlets, we provide the best services available in Calhoun GA.
Certified electricians will be installing an underground electrical wire for a garage. Certified plumber is repairing slow draining pipes. Plumbers are replacing a water faucet. Certified electrician is repairing a breaker that keeps tripping in Calhoun GA.
Certified electrician is repairing miscellaneous electrical items throughout the home. 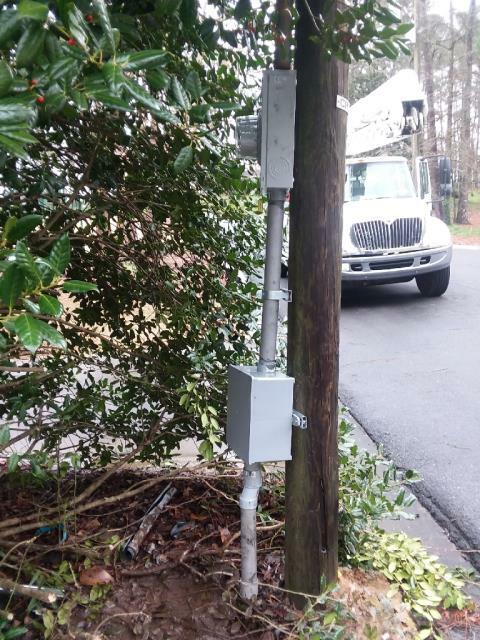 Licensed electricians repaired a service mast that broke causing damage to wiring. Electricians are repairing an electrical outage, we offer the best electrical service around Calhoun GA.
Certified Plumber is repairing a shower drain and clearing some clogged lines. Plumber is going to be installing a water softener system for hard water in Calhoun GA.
Certified electrician is repairing a bad breaker, we are experts in panel repair and offer service in Calhoun GA.